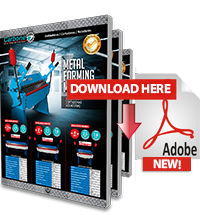 Carbone Costa Rica introduces its metal forming machines line with manual sheet rolling and shearing machine Q3- IN-1 / 1320X1.5 is ideal for the workshop if you need a machine to do several jobs such as cutting, bending and rolling, but not take up much space. 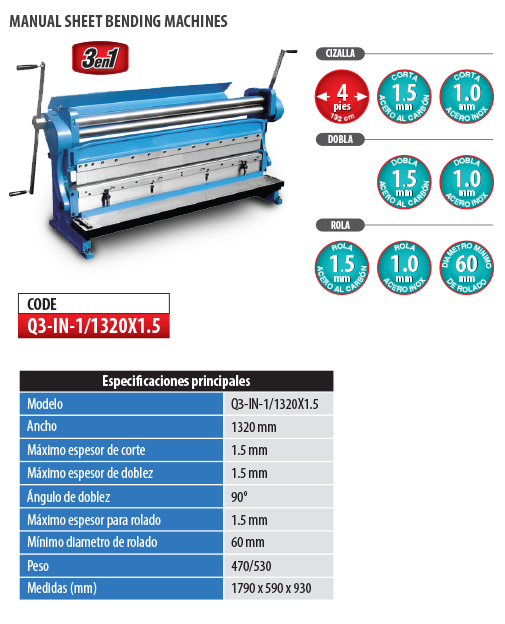 The 3 in 1 has a metal shear, bending and sliding roller. It has the ability to work up to 1.5 mm carbon steel up to 52 inches wide so it is a high performance machine.